Did you notice that almost 100 of us took part in Ruby Tuesday this week? You guys and gals are responsible for making this meme a total success and in such a short time! I can't believe it! because when we blog what we enjoy most is hearing from others in the blogosphere who share our interests. For the first time since we started Ruby Tuesday I couldn't get to everyone and I apologize. I hope I'll be able to visit a few more people today and tomorrow. 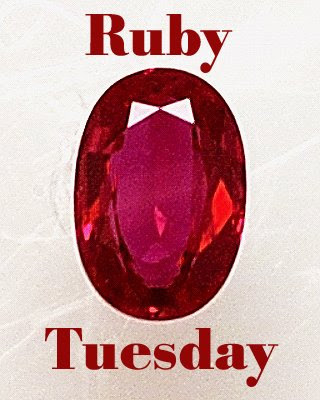 to all those who participate in Ruby Tuesday! Right back atcha, Mary. Great job! It's taken on a life of its' own, Mary. At some point, you just have to let them grow up and hope for the best. LOL! Mary, Ruby Tuesday is so much fun! I look around for red all week. And the participants have such good ideas. Great job on your part. Great one, Mary! I would love to join next time. Red is actually one of my favorite colors. One thing that is hindering me is I am not a good photographer. We should use our own pictures, right? It's one of my favorite meme's. Like I said, it's gotten me jump started with my camera again. Thank you again for that. though honestly i havent submitted any photo this week. seems i cant find any red in our place. i need to get out again. i must!!! hehe. 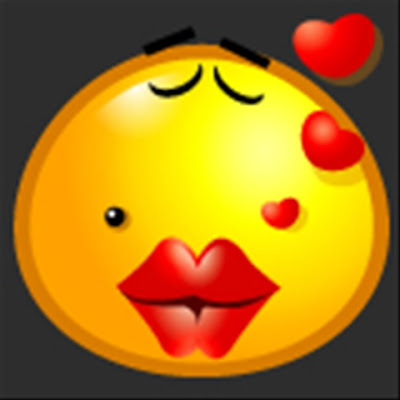 gud day! Wow! It is getting popular. I'm glad for you. It's nice when something we start takes off and gives people joy. This is a fun meme. And yes, what Bond said!!! I've got a post all set for Tuesday. Yippee!! After watching everyone 'play' for a few weeks, I certainly enjoyed participating for the first time this week and plan to play from now on ... keeping my eye open for 'Ruby Red' things to photograph. You've done a wonderful job on this Mary! Well done Mary! YOu have done a great job with this. Awesome response and you're right part of the fun is finding new blog friends along the way. Congratulations on the success of this meme.